Following the draw on 26 April for the 2013 European Youth Olympic Festival in Utrecht, Netherlands (14 to 19 July), the handball competition will be played in the following groups. The group matches of the two Dutch teams will be played at 17.30 hrs. (local time) for the boy's team and 20:00 hrs for the girl's team. The overall match schedule can also be downloaded here (pdf format). 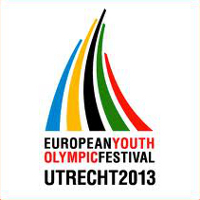 The European Youth Olympic Festival will take place from 14 to 19 July. 3,300 young athletes between 13 and 18 years of age from 49 European countries are expected to participate.